The Food and Drug Administration (FDA) serves as the big safety protector for consumers, and it also plays a vital role for importers – that of proving that a particular product or ingredient is harmful when used as intended. Here those questions are addressed, along with other common mistakes firms make importing cosmetics. 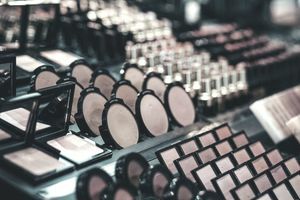 The FDA is inundated with inquiries from cosmetics companies about rules and regulations for importing cosmetics into the United States. Here are some areas where they can get into trouble. Declaring a Color Additive That Is Not FDA Approved: You may have approval for a color additive in your country, but if it’s not approved in the USA or the country you are importing to, your shipment will be detained, confiscated or even destroyed predicated on the seriousness of the violation. Make sure to review this list of color additives approved for use in cosmetics in the United States and also the basic requirements on color additives and cosmetics and how they are categorized. For example, the use of chloroform in cosmetic products is prohibited because it causes cancer in animals and is likely to be harmful to human health, too. The use of vinyl chloride is prohibited as an ingredient of aerosol products because it causes cancer and other health problems. Make sure to review the list of ingredients that are prohibited or restricted. Generalizing on the “May Contain” Statement: When cosmetics include non-color additives or unapproved color additives in the “may contain” statement on the label, the FDA carefully regulates this. You can’t assume that everything in this category is a color additive either because if you do and it’s not, the FDA will detain your shipment. Ignoring the Fact That Certain Ingredients Are Prohibited or Restricted: Any ingredient in a cosmetic is prohibited if it causes the finished product to be unsafe for consumers. Make sure to review the list of prohibited and restricted ingredients. Importing Products Without Preapproval From FDA: A cosmetic firm may use any ingredient as long as it does not cause the product to be adulterated in any way, for it has a legal responsibility for the safety and labeling of the products. Cosmetic products and ingredients are not subject to premarket approval by FDA, with the exception of color additives. However, they must not be adulterated or misbranded. Color additives are subject to a strict system of approval under U.S. law of the Federal Food, Drug and Cosmetic Act. Color additive violations are a common reason for detaining imported cosmetic products offered for entry into the United States. Thinking That Your Shipment Will Not Be Inspected: While not all imported products are examined at the time of entry, those not examined are still subject to all the legal regulations of the laws enforced. FDA issues Import Alerts to advise inspectors of trends in violations. Cosmetic-type products marketed with therapeutic claims are on the hot list. For a complete list, visit Import Alert for Industry Cosmetics. Labeling the Goods Wrong: Must your label be in English? Can regular names of ingredients used in the country of origin be used on cosmetic labels? There’s only one way to find out these answers and more. Make sure to review the Cosmetic Labeling Guide. Different countries and regions regulate cosmetics under different legal frameworks. Keep that in mind when you are importing cosmetics from different parts of the world. The burden is on FDA to prove that a particular product or ingredient is harmful when used as intended. That’s why it always prudent to prescreen with the agency before you begin the import process.